I was thinking if you don't want to taste wine all day what can you do? Well, in the next few posts I'll share some ideas about some quick and easy day/half day trips around Lucinda's. 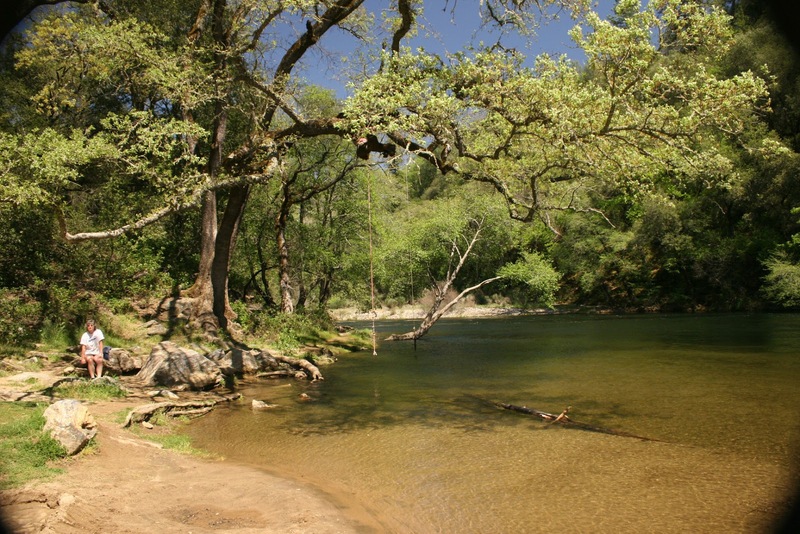 The first trip is an adventure into Amador County just outside of Jackson. It is Electra. While staying here at Lucinda’s you might venture into some foothill history. There used to be a town in the foothills named Electra. 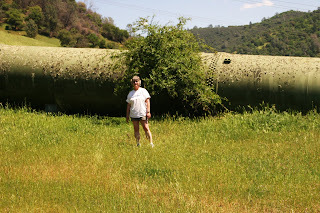 That is the site of one of PG&E’s first Hydro-Electric plants in the foothills. It was built sometime around 1900. Today it is still operating, but at a much lower level than ever before. PG&E has a maintenance crew work on the old turbines every few months. There is no town but there is some great history and beauty. 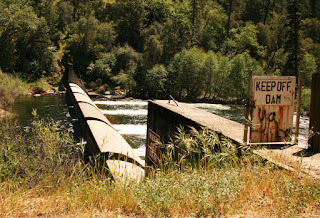 These old turbines across the Mokelumne River are still operating. To find this spot you go south through Jackson and just before, I mean right at, the bridge crossing the Mokelumne River turn left onto Electra Rd. The road meanders along the river a few miles until you get to the Electra parking area. There are some exciting views along the way. Lucinda “Cindy” is in the Electra parking area when we made our trip there. The trip, one way—without any stops, takes about one hour. You probably will want to buy one of our picnic boxes (You need to order it before you arrive at Lucinda's) or grab some snack stuff at one of the stores in Jackson. You’ll want to “stop and smell the roses”, so to speak, and enjoy yourself and relax a little while in Electra. If you go on a warm/hot day be sure to take your swimming gear, whatever that might be. Usually there is no one else around, if that gives you a hint. 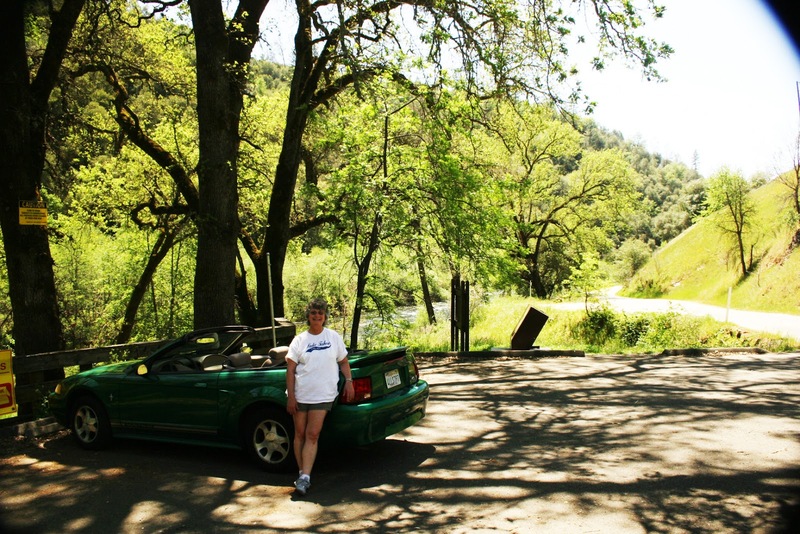 Cindy is sitting next to the Electra swimming hole, which is a short walk from the parking area. 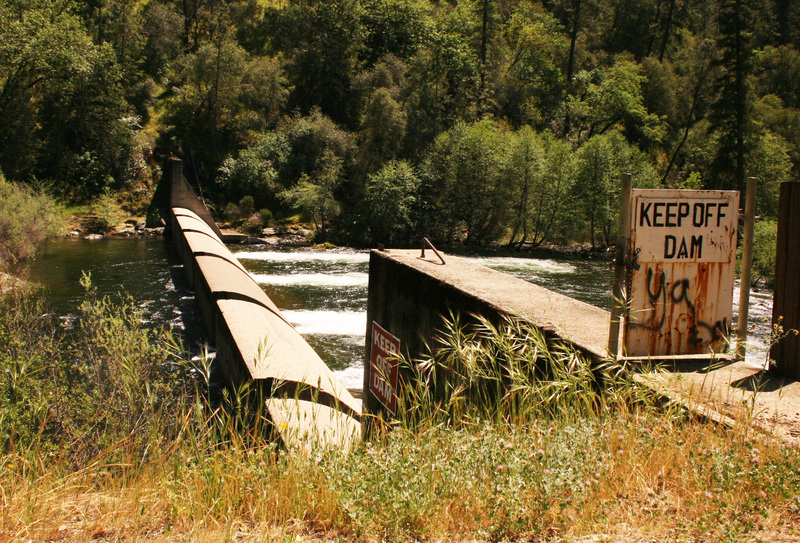 One final point about Electra is the huge pipe that runs perpendicular to the river up a hill and appears to go over to the other side to something. We didn’t export that. The hill gets pretty steep, so it would be a good climb to find out where the pipe goes. The pipe at Electra that goes somewhere, but where? Enjoy your outing. 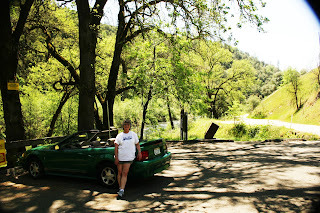 Along the way is Sutter Creek, Amador City and Dry Town, each has cute shops and eateries. Make it a great day in the Sierra Gold Country Foothills.